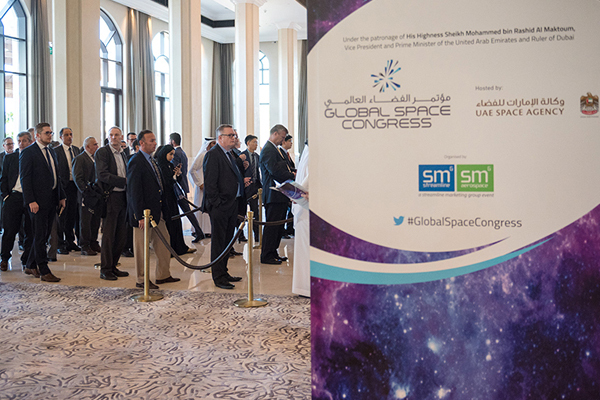 There is enormous potential for a wide range of industries to benefit from advances in space manufacturing and human space flight, according to experts speaking at the second day of Global Space Congress in Abu Dhabi, UAE. The event which opened on March 19 will conclude later today (March 21), at the St Regis Saadiyat Island Resort. Speaking at the congress, Charles Bolden, the former administrator of National Aeronautics and Space Administration (Nasa), stressed that efforts in the space sector should be used for the ultimate benefit on earth. Bolden, speaking during a panel discussion on the future of manned space flight, took part in the congress which brings together leaders in the global space sector to discuss industry developments, projects, policies and strategies. The issue of the impact of the space sector on earth-based industries has been a central topic throughout the second day of the congress, as panellists have addressed the issue in discussions focused on the impact of space manufacturing on industry, and the new and emerging technologies which have developed as a result of space exploration. The session titled ‘Space Manufacturing and Industry’ heard from the Head of Projects at the UAE Space Agency, Abdulla Al Marar, who spoke about how the hydrocarbon sector would eventually be able to make use of products that had been manufactured in space. Speaking alongside him, Andrew Rush, president and chief executive officer of Made In Space, spoke of his aim to create an economic boom driven by low-earth orbit manufacturing. “The policy is now more value-focused and promotes investments and projects across the entire defence and security value chain including projects related to complex dual use technology areas such as optics, communications and cyber security,” he added. Engineer Salem Al Marri, director general for the Science and Technology Centre at the Mohammed Bin Rashid Space Centre (MBRSC) expressed his belief that the projects undertaken by the UAE in space would impact on industries on Earth through serving to inspire young people to study Stem subjects, which would have a significant impact on a variety of industries beyond the space sector.